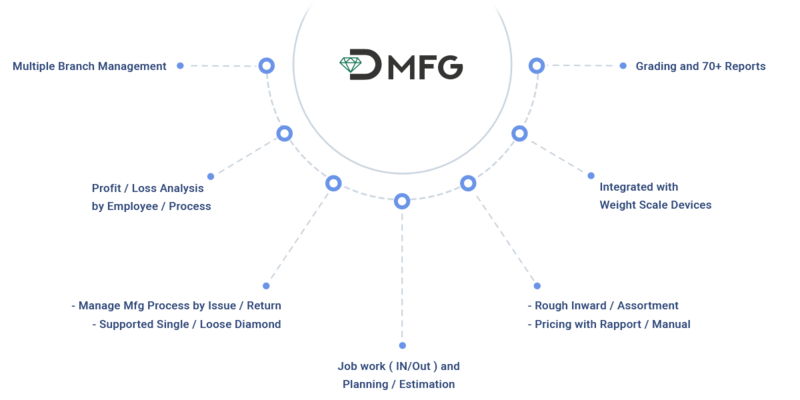 DMfg is a very vast inventory and Diamond manufacturing process tracking system. It's a complete ERP package for Diamond manufacturing companies. Ddesk has been developed to incorporate all possibilities and permutations, combinations to address all needs of diamond manufacturing companies. Ddesk deals with all the requirement of Diamond Industries in managing very complex Diamond Manufacturing process. It’s the most suitable for multi-stage factories and geographically scattered corporate offices with huge number of employees as well small & big subsidiaries factories and units.